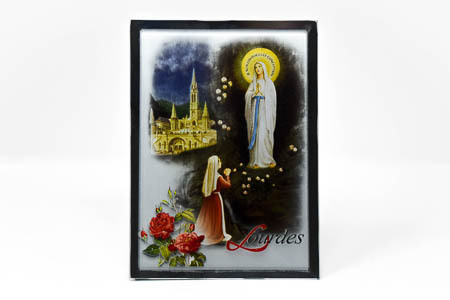 CATHOLIC GIFT SHOP LTD - Our Lady of Lourdes Frosted Mirror Ornament. Our Lady of Lourdes frosted mirror ornament with a stand. Measures 13 x 10 cm, 5.1 x 4.9 inches.